STILLNESS the quiet emptiness, where gentle movements rise and fall, start and end, in a field of silence: the Rhythm of Letting Be. Find out more about Gabrielle Roth's 5Rhythms® on their website. These are movement events above all else, so do expect to move. You may be rolling around on the floor – dress accordingly. Yoga or exercise clothes work great. Bring an extra layer for when things quiet down. Most people dance in bare feet; soft-soled dance shoes or dance paws are recommended if you need foot protection. Dance sneakers are permitted. Other shoes are not allowed on the dance floor. Dance in stocking feet at your own risk! Socks tend to slip on the hardwood floor and for that reason are not considered safe. There are changing rooms if you need them. On Fridays after dancing, we have snacks and socializing. Sunday classes are followed by a potluck meal. Ann believes in the intuitive wisdom of the body, and teaches 5Rhythms as a path to healing through deep communion with the incarnate self. Ann is passionate about life, about love of self and other, and about honoring the gifts that come through each of us. She works to welcome these gifts to flow through freely and views the dance floor as a place of refuge, transformation, and release. Ann lives in Charlottesville, Virginia with her husband and 3 children. You can contact Ann by email at ann@ann-kite.com. Anand is Ann Kite’s husband and assistant business manager. He has been dancing 5Rhythms since 2008 and has a great respect for the potency of the 5Rhythms practice. Anand can usually be found at the check in desk before classes. He has a background in physics and astronomy and also works at National Radio Astronomy Observatory in Charlottesville, Virginia. You can contact Anand at anand@ann-kite.com. Debby has embraced movement meditation as a transformational tool in her life. She feels so grateful to share the dance with each one of you in this special space. 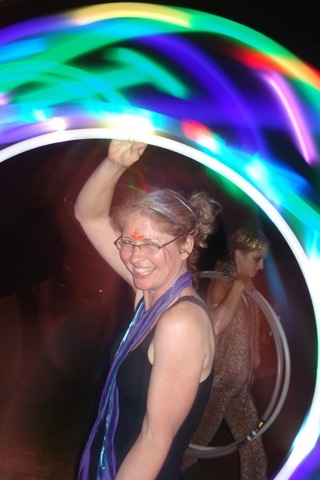 Debby is a certified 5Rhythms teacher who shares classes with Ann Kite, Jefferey Boynton, and Samantha Lane in Charlottesville, Virginia. Debby is an occassional substitute teacher for Ann’s classes. Contact her for more information about her classes or teaching, DebbyNorton@gmail.com. Claire is a 5Rhythms Sweat Space holder mentoring with Ann Kite. Claire holds 5Rhythms sweats as a substitute teacher at Ann Kite’s classes near D.C.